Members of the Third Order seek to live inspired by the Carmelite charism. By lives of prayer, community-building and service of others, Lay Carmelites seek to be open to God's transforming gift of contemplation. To help them better understand the Carmelite way of life, members of the Third Order engage in the process of 'formation'. Formation involves a certain amount of study, looking at the documents of the Order from The Rule of Saint Albert onwards, the lives and writings of Carmel's saints, and so on. However, you do not need to be academic to engage in formation. More important is to live the values of Carmel. the Blessed Virgin Mary and the Prophet Elijah for intercession and inspiration. When someone is received into the Third Order, they begin learning about the Carmelite way of life in a structured way, adapted to the needs and learning style of each individual. 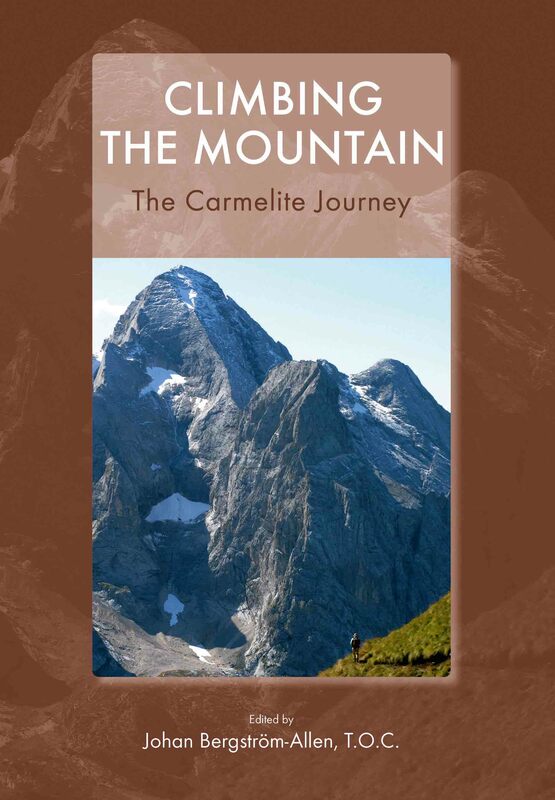 In the British Province of Carmelites this is done by reading and reflecting on the Province's formation programme, printed in the book Climbing the Mountain, which can be ordered from Saint Albert's Press. To read an excerpt of Climbing the Mountain please click here. Different communities of the Third Order do formation in slightly different ways. Mostly it is done through the monthly community meeting, and by reflecting on resources such as Climbing the Mountain and articles printed in Carmelite periodicals such as Assumpta magazine. 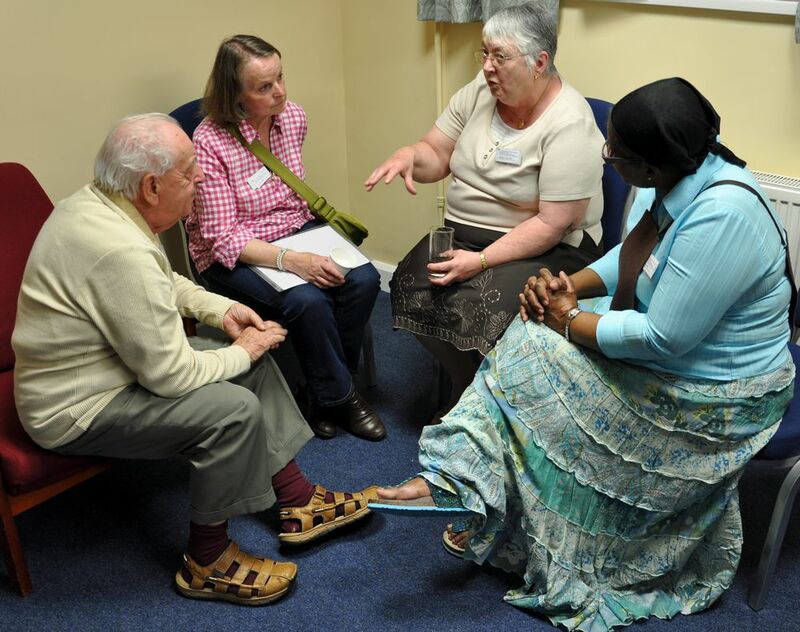 Members share with each other their thoughts and questions in a friendly and respectful way. for many Lay Carmelite communities. Some members of the Third Order also enrol as distance-learning students with the Carmelite Insitute of Britain & Ireland, or engage in some other form of theological study. This is encouraged but not required. Formation is not only about study; rather it is 'holistic', that is, it deals with the whole of one's life, helping the candidate to integrate Carmelite values into his or her daily routine. The fruits of formation will be seen in someone who, through God's grace and following the Carmelite charism, becomes more loving towards God and neighbour. Members of the Third Order are encouraged, as part of their formation, to deepen their relationship with God in prayer. This can be done in a number of ways, and the Carmelite tradition particularly encourages meditation on God's Word in Scripture (for example through Lectio Divina), participating in the Liturgy of the Church (the Mass and the Divine Office), and through some silent prayer each day. When received into the Third Order, candidates are given a copy of the Scriptures as a reminder that Carmelites are called upon, by the Rule of Saint Albert, to 'meditate day and night on the law of the Lord'. Formation also encourages members of the Third Order to encounter God in community. Participation in Carmelite gatherings is therefore important for most tertiaries, not only the monthly community meeting but also retreats, pilgrimages, quiet days, social outings, and so on. Members of the Third Order gathered for prayer at Aylesford Priory. Rather than diverting people from involvement in their parish community, membership of the Third Order normally encourages Lay Carmelites to become more immersed in their faith community. Formation also requires a deeper commitment to service on the part of the Lay Carmelite. This varies according to each person and situation. Formation will hopefully result in a deeper commitment to the values of Carmel, including its promotion of justice, peace, and the integrity of Creation. Carmelite formation should thus have very concrete effects in the way a Lay Carmelite lives and relates to others. Those 'distance members' of the Third Order who cannot attend Carmelite communities because of distance or illness are still linked to the life of the Order, and formation can sometimes be guided through phone, post or email contact. Formation is a life-long process. After the 'initial formation' of a tertiary's early years in Carmel, he or she is expected to continue exploring the Carmelite tradition. We never become so 'expert' that we cannot live the Carmelite way of life more fully. To download (as a PDF document) a simple guide to some useful formation resources produced by Lay Carmelites in Yorkshire please click here (N.B. this was printed before Climbing the Mountain became available, and so is somewhat outdated, but remains useful on other points).